PinkPetrol were brought in to assist the initial stages of their new SharePoint intranet build. We ran a range of UI & UX workshop & sessions & delivered a SharePoint 2013 proof of concept. Boots is a pharmacy chain in the United Kingdom and Ireland, with outlets in most high streets, shopping centres & airports. 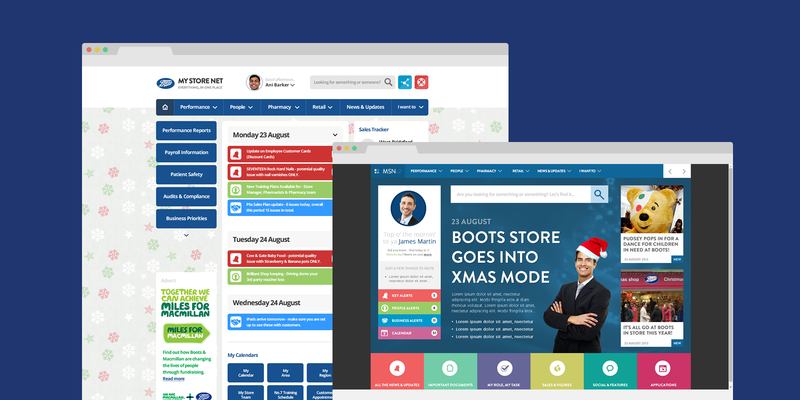 Boots needed assistance with the planning, branding & design stages of their new SharePoint 2013 intranet. We range a series of workshops & work closely with communications teams to translate feedback into wire frames and then eventually a working proof of concept. Working with Boots' communication team we took their requirements to create something innovative. We held a series of workshops ranging from discussing ideas to gathering requirements. 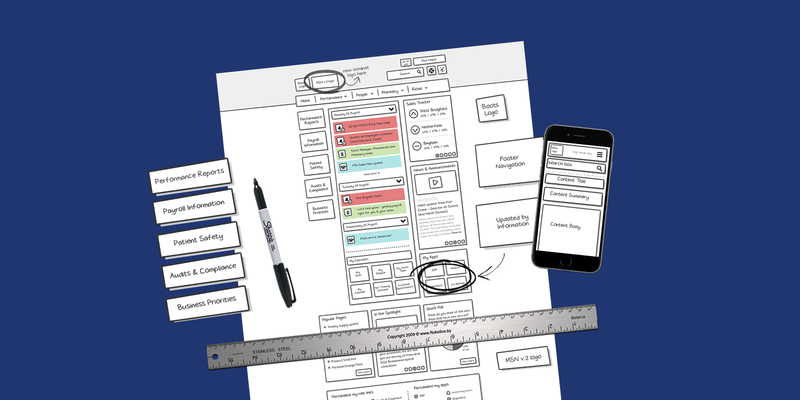 We facilitated these meetings to make sure we got everything we needed to ensure we could development not only a UI/UX plan but ultimately a fantastic concept. We wanted to give the users a rich user experience, this was key to the success of the project. We looked a range of functionality to make this experience the best it can. We used a blend of fantastic design & innovative functionality to give the users what they wanted. With an emphasis on both innovation & experience, we did a series of show-n-tell workshops where we showcased SharePoint design branding, page layouts, concept design. We then showcase a range of innovative, fresh, new functionality to present content & data. After gathering the research we needed & the requirements from the users we created a proof of concept in SharePoint, where we branded & designed a great looking user interface with a innovative & fresh user experience using jQuery & out of the box SharePoint features. The SharePoint concept we produced opened the eyes to the users & pushed the boundaries of what an intranet can do. The entire process was challenging but ultimately rewarding, we produced a design that was loved by the stake holders. Not only did it push the boundaries from what is usually seen on a intranet but we created something that was innovative, helpful to users but not at all confusing. "Excellent innovative conceptual design work, well done!"